"I got up to 150 (on a track day) and I wasn't hangin' on like I normally have to. So it does work. Perfect." 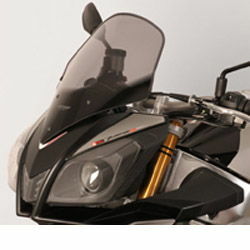 !quote, 58430, rsv4r, v4r, 1000r, motorbike, bike, windshields, wind, shields, windscreens, motorcycle, vision, screens, gray, tinted, coloured, colored, 11, 12, 13, 14, 15, 2011, 2012, 2013, 2014, 2015!